This piece by Justine Musk was first published HERE. Thanks to Emma Arogundade for sharing it on Facebook. In comparison to Sheen, Britney did reveal her belly button at a young age. And that, of course, is a threat to civilization as we know it. Which is not my way of saying that appearing on reality TV isn’t a form of evil in its own right, or that a girl should take provocative pictures of herself and post them on the ‘Net. Neither is power so much as a mistaken idea about power (and perhaps too many shots of tequila): when the culture seems to be urging you in one direction (“it’s cool to be ‘bad’”) and you haven’t had time or experience to learn otherwise. 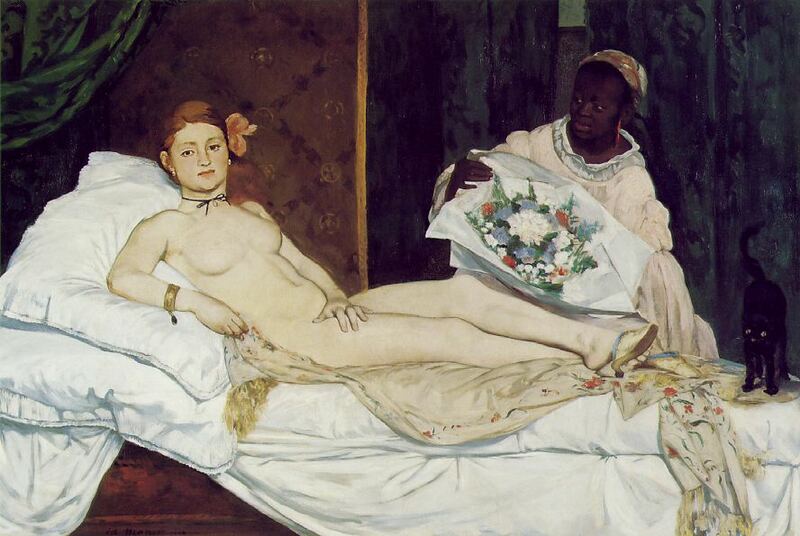 This entry was posted in art, freedom, gender, personae, philosophy, politics, violence and tagged badass, manet, morality, mores, self-awareness, self-consciousness, self-surveillance, stereotypes. Bookmark the permalink.